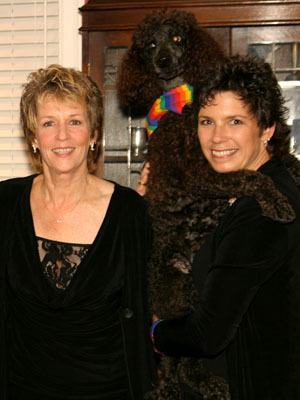 Two Women & a Poodle are available during their "On the Fence" tour for their Gay Into Straight Washington journey. Optimism, Confidence, and a Commitment to Living Authentically leave audiences empowered as Dotti & Roby share stories of how to integrate Live Your Truth into everyday life. 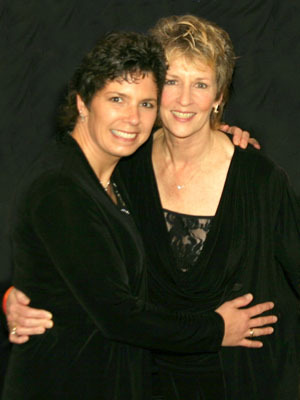 As public speakers, Dotti & Roby serve as in the moment mentors to every participant, regardless of sexual orientation or gender identity, who finds themself fearful of living their truth, whatever the reason. Whether your fear relates to how to have challenging conversations about marriage equality or how to stand up and speak out when you sense people believe differently than you, each opportunity provides a window into greater personal growth. Dotti & Roby & Rylee Joy are available for seminars, workshops and keynote presentations, offerings insights and facts, plus experiences and stories, that will leave participants feeling that to Live Your Truth is the most authentic way to enjoy and thrive in life! Individuals will leave with a new bounce in their step, feeling empowered, focused and knowing that the universe is truly on their side in transcending differences that separate us. Their presentations contribute to creating a more positive morale and atmosphere between people, leaving them truly inspired! 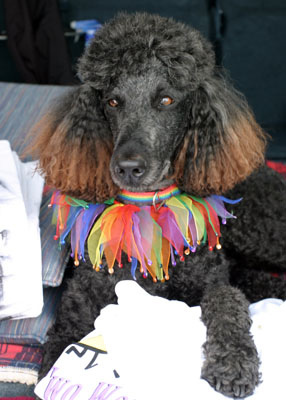 numberous PFLAG groups, churches, synagogues and independent associations. Corporations who want to improve the productivity and attitude of their Managers & employees toward gay, lesbian, biseuxal and transgender persons, in addition to the GLBT employees themselves. #1. Dotti's & Roby's style of story-telling draws people in. People do not feel threatened by their presentations; therefore, groups can feel confident that a civil manner and tone will be maintained relative to a subject that can be potentially challenging for some members of the audience. Their presentation is guaranteed not to dissappoint you! #2. Dotti & Roby tailor each presentation to the needs of the client, relative to the level of understanding of the potential audience. Never offering a “canned” speech, they educate and motivate in conjunction with your standards, needs and requirements. #3. Dotti & Roby are well credentialed, media-savvy public speakers. They have been on TV, radio, and in newspapers and magazines. Their book, Live Your Truth, will be published in 2010. #4. Dotti & Roby educate, motivate, energize and give hope to your participants, constituents, employees and clients. Their presentation encourages questioning. They create laughter with a subject that sometimes challenges people at their core, offering a $100 to anyone who asks a question they refuse to answer! Their presentation encourages everyone to assume responsibility and control for their lives, rendering them more capable and focused. Participants leave with a sense of gratitude to you for the program offering. #5. It’s all about repeat business. 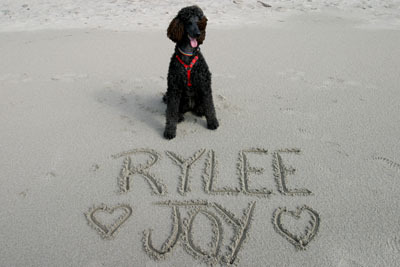 People NEVER forget Rylee Joy's name! And her participation, along with that of her two mommies, pretty much guarantees that people will come back for more. And...we promise it will be a presentation that will invite continued discussion and interaction days and weeks later and will be one they will NEVER forget! 360-305-0909. Your specifics can be disccussed and pricing that matches your needs/opportunity can be quoted. Dotti serves as a life & relationship coach, and has helped numerous individuals and couples. She specializes in transgender issues & relationship recovery from affairs. Dotti has been a coach, speaker, workshop/seminar leader & facilitator for 25 years. Some of Dotti's past clients include the University of Kentucky, Lexington Chamber of Commerce, Sodexho, to name just a few.